A lot of developers and coders probably agree that one of the best way to learn a new coding language, skill, or technique is to do so by learning and experimenting in a hands-on, interactive way. jQuery is no exception to this rule. If you're looking for free ways to get some real-world jQuery experience, check out any one of these resources, where you'll find interactive and free jQuery lessons to help take your skills to the next level! 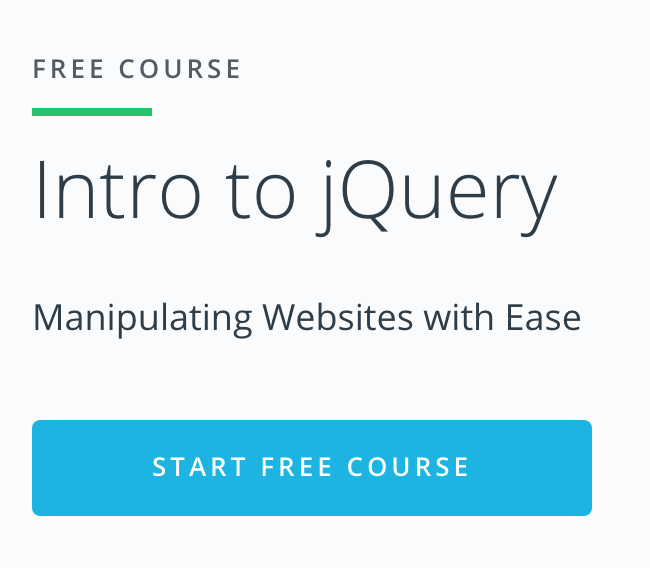 Codecademy is a great free resource for learning jQuery. It's suitable for absolute beginners or for developers who may know a little jQuery but want to brush up on the basics. 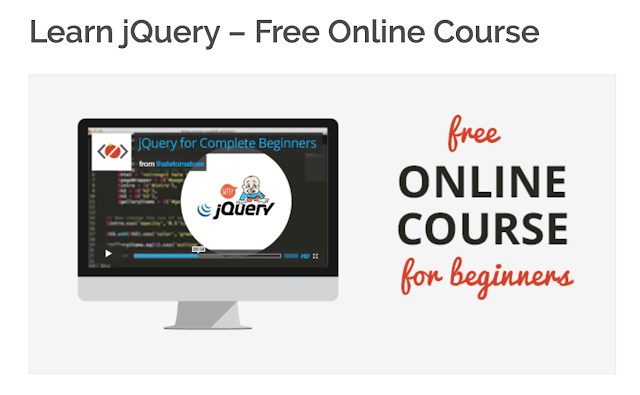 The free jQuery course has 7 lessons including a final project. This interactive course was created by Code School and is another great way to learn jQuery for free. The lessons are extensive, offering 14 videos and 71 coding challenges, in addition to helpful and informative slides that will help guide you through each lesson. 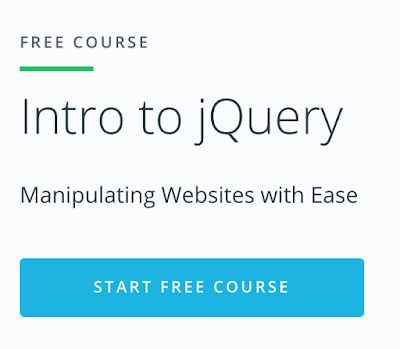 This free online course is for absolute jQuery beginners, and will give you a great foundation for creating more interactive sites using jQuery. Udacity is a site that offers free and paid courses in hundreds of different subjects, including computer science and web development. They offer this jQuery intro course completely for free, which will provide you with a great base of knowledge if you choose to take one of the more advanced courses to continue your learning.